Hi, today I want to show you guys how to maximize your Google Adsense earnings by implementing the new Adsense full page level ads for maximum Adsense revenue. Follow the instructions I am about to give below and implement it on your blogger blog, and if you are using a wordpress blog, just watch the video my good American friend made about this. My friend isn't so familiar with Blogger platform, so he made only made a video to implement this on wordpress, while I created the twist for blogger users since I am obsessed with blogger than wordpress. First step is to log into your blogger blog account and Google Adsense accounts at the same time since you will be working on both platforms together. Log into your Google adsense account. Now click on "My ads" at the top menu bar, and then click on "Page-level ads" on the left hand side bar. After you click on "Edit template", wait a few minutes for it load and open, then look carefully, you will see the <head> tag on line 4, just below it, paste the ad code you copied from your Google adsense account. But then, you will also need to replace the attribute async with async="async", otherwise blogger will give error message". Paste this code just before the <head> tag. After you paste the code into your blogger blog template, kindly click on "save" to save your template back. Open your blog like a blog visitor on a new tab, while on your site, hit F12, and then click on the icon that looks like a phone. That'll bring you to a mobile browser view. In the url, put "#googleads" and hit enter on your keyboard, it should give you the desired full page level ads. 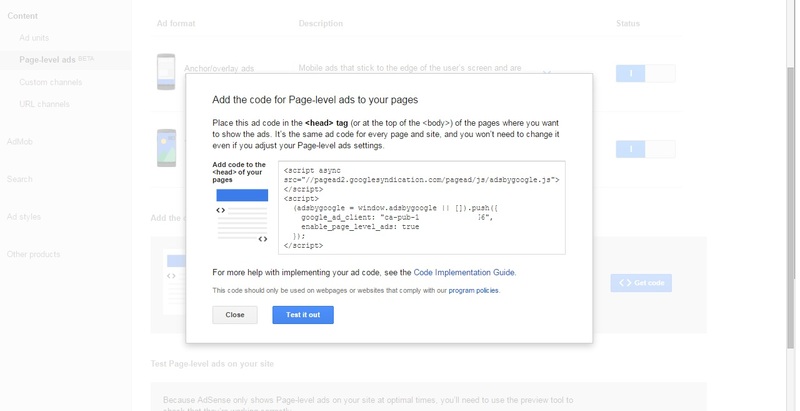 Implementing this new Google Adsense full page level ads code will increase your google adsense earnings dramatically, and you will be amazed at the result. 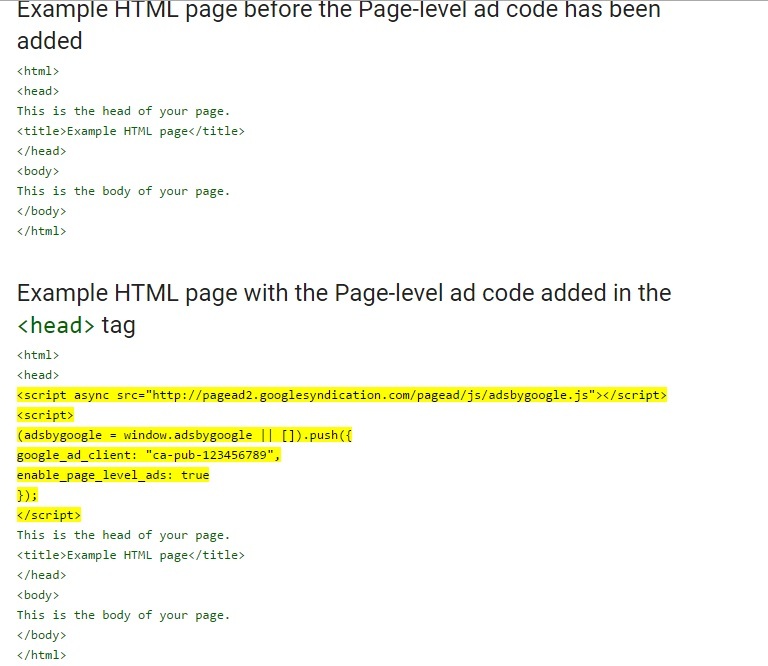 Remember, this is not a blackhat method because it is approved by the Google Adsense team and developers. If you have any question, please ask in the comment box and I will respond.